The South Eugene Robotics Team is the only FIRST Robotics Competition (FRC) team in the Eugene/Springfield area. We build the big bots! And we're are also 2018 World Championship semi-finalists! 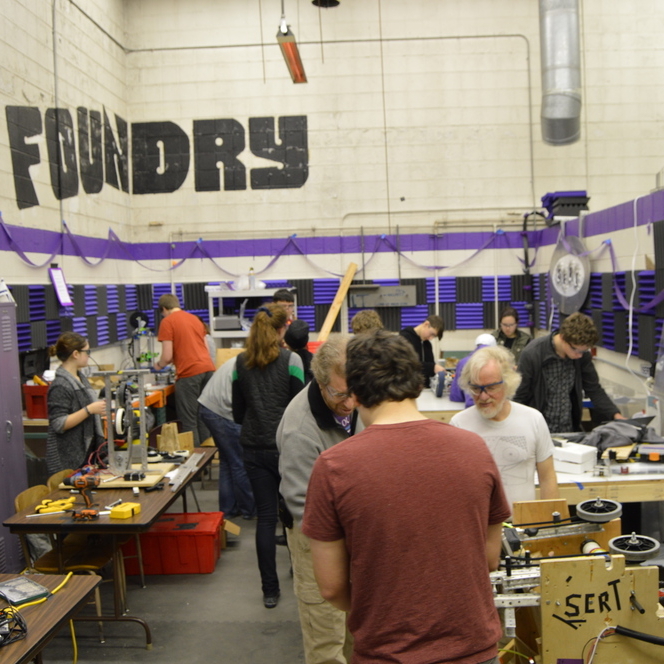 SERT is open to any high school student interested in robotics – no experience necessary. We teach you what you need to know about fabrication, electronics, engineering and programming so you can help build a robot that will compete in a fun, arena-style game. We currently count among our members students from Churchill, Sheldon, A3 in Springfield, and home-schooled students. If you want to learn and are willing to contribute, we have a place for you! Get in touch or checkout SERT on social media!